Two-time Grammy award-winning R&B singer and songwriter James Ingram, one of the classic golden voices of contemporary R&B and best known for singing chart-topping ballads like “Just Once,” “I Don’t Have the Heart” and the iconic duet “Baby Come to Me” with Patti Austin, died Tuesday afternoon at the age of 66, according to confirmed news sources. TMZ reported that Ingram suffered from brain cancer. Born in Akron, Ohio, Ingram bolted unto the music scene as a trusted background singer for many established artists in the early ‘80’s after walking away from his stint with local band Revelation Funk. Musician and producer Leon Haywood hired him to do backing vocals on his Naturally LP along with Carl Carlton’s breakout self-titled LP, a gold-certified disc that contained the funky ‘80’s jam “She’s a Bad Mama Jama.” Music producer legend Quincy Jones discovered his talents and hired him to provide lead vocals for 1981’s The Dude. The album, which earned three Grammy awards, was aided by two singles featuring Ingram’s smooth soulful voice: “One Hundred Ways” (#14 pop) and the Barry Mann/Cynthia Weil-penned “Just Once” (#17 pop). Ingram also picked up three Grammy nominations for Best New Artist, Best Male Pop Vocal Performance for “Just Once” and Best Male R&B Vocal Performance for “One Hundred Ways.” The same year, Ingram paired up with jazz darling Patti Austin (another Jones’ protégé) for “Baby, Come to Me,” a song that was later re-released in 1982 due to its involvement on the soap opera General Hospital. It eventually soared to number one pop. A crucial follow-up immediately followed: the Oscar-nominated “How Do You Keep the Music Playing,” another Austin pairing that swung to number 6 pop. In 1982, Ingram showed off his songwriting skills as a contributor to Michael Jackson’s magnum opus Thriller with the Grammy-nominated “P.Y.T (Pretty Young Thing).” He also contributed the hit single “Baby Come and Get It” to the Pointer Sisters’ smash LP Break Out. Meanwhile, Ingram continued to lend backing vocal assignments to a hot list of talent including Phyllis Hyman, Donna Summer, Shalamar and Brothers Johnson. A standalone offering from Ingram was definitely in order, and continued with Jones signing Ingram to his Quest imprint. His debut LP, It’s Your Night, was released in 1983. Thanks to the breakthrough quasi-inspirational jam “Yah Mo B There,” a song that Ingram co-wrote and sung along with Michael McDonald, Ingram quickly became one of the premiere voices of R&B. Partly due to his associations with Jones, a host of opportunities opened up for Ingram, including his involvement on the all-star tribute song “We Are the World” and the crooner ballad “The Secret Garden,” which featured collaborations with Al B Sure, El DeBarge and Barry White. Capitalizing on the success of “Baby, Come to Me,” Ingram delivered a number of female-paired duets throughout the ‘80’s and ‘90’s, including “Somewhere Out There” with Linda Ronstadt for the cartoon film An American Tail, “The Day I Fall in Love” with Dolly Parton for Beethoven’s 2nd. Other memorable duets involved Melissa Manchester, Carnie Wilson, Anita Baker, Nancy Wilson and Kim Carnes. As R&B styles shifted, Ingram tweaked his style for 1989’s It’s Time by collaborating with New Jack Swing pro Teddy Riley on the infectious upbeat title track. Ingram, known mostly for singing smooth AC ballads, pulled off a Top Ten hit with the spunky jam and revealed that his voice could handle uptempo. The disc also included the Thom Bell-produced “I Don’t Have the Heart,” one of Ingram’s last chart-topping successes. It ended up being his only number one hit single as a solo artist on the Billboard Hot 100. Reaction from friends and music industry vets flooded social media after news outlets confirmed Ingram’s death. From Quincy Jones to Jody Watley, from The Roots’ Questlove to Clay Aiken, the outpouring of love of one of R&B and pop’s greatest vocalists speaks volumes of his impact and legacy. Below read some of the heartfelt praises and tributes to Ingram. 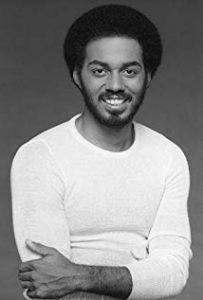 As a teenager, there were few (if any) singers whose voice I wanted to emulate more than the stunning #JamesIngram I wore out every single one of his CDs. The angel choir got one of Earth’s greatest singers today. I’m truly saddened by this loss. #HowDoYouKeepTheMusicPlaying ?